Join us! Thursday 6 December 5pm - 8pm. Exhibition opening with artworks and documentation of Light from Light across 5 major venues in China and Australia. First 30 guests receive a complimentary copy of the Light from Light publication at the launch. The MAAP Board invites you and your guests to the launch of Light from Light: REPRISE coinciding with MAAP’s end-of-year celebration and the Asia Pacific Triennial (APT7) opening weekend. Light from Light: REPRISE is a presentation of artworks and documentation from MAAP’s major touring exhibition Light from Light. This event also marks the official launch of the Light from Light publication. 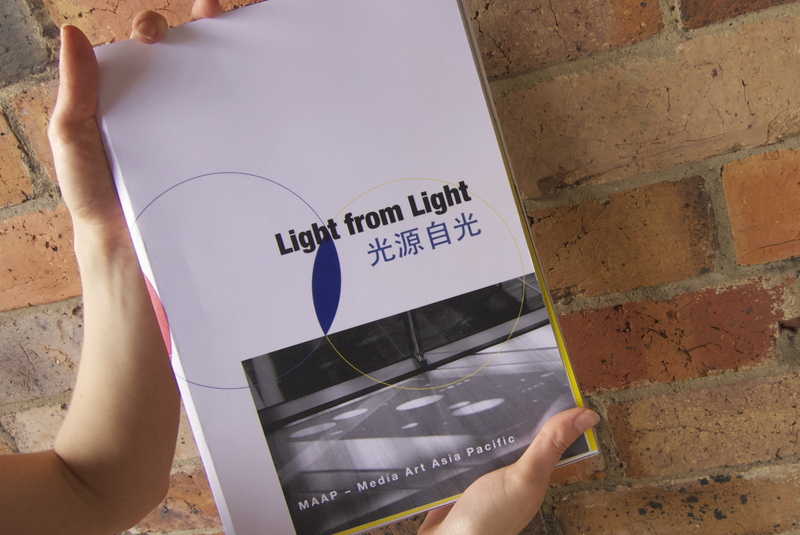 First conceived in 2009, Light from Light involved commissioning eleven artists to create site-specific artworks to be installed in and around the collections and reading areas of public libraries in China and Australia.